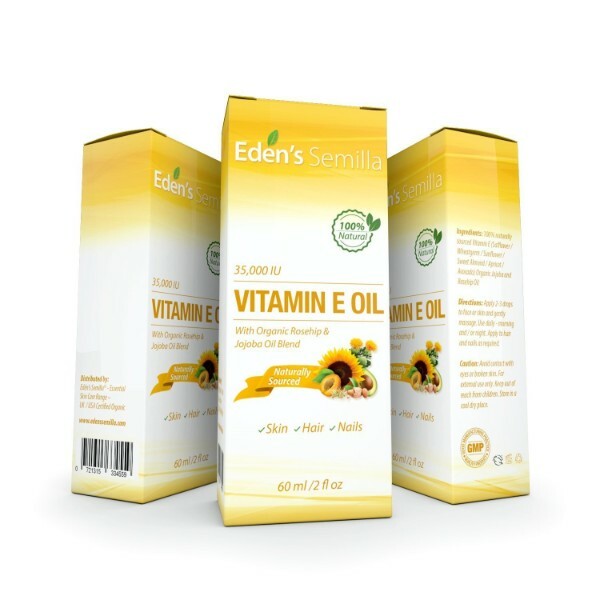 Relieve dryness of skin with Eden’s Semilla Natural Vitamin E Oil. This oil packs a lot of vitamins and minerals to keep skin healthy and young. It works for hair as well. 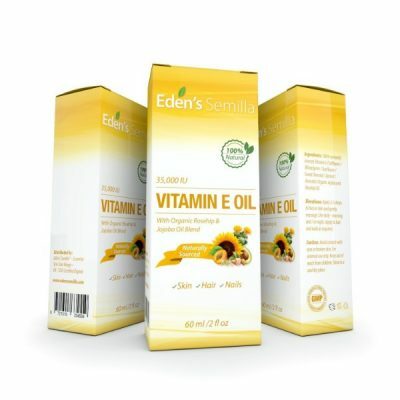 The vitamin E oil provides moisture and retains it for long-lasting smoothness. Vitamin E oil is a potent antioxidant that protects skin from aging and damage. 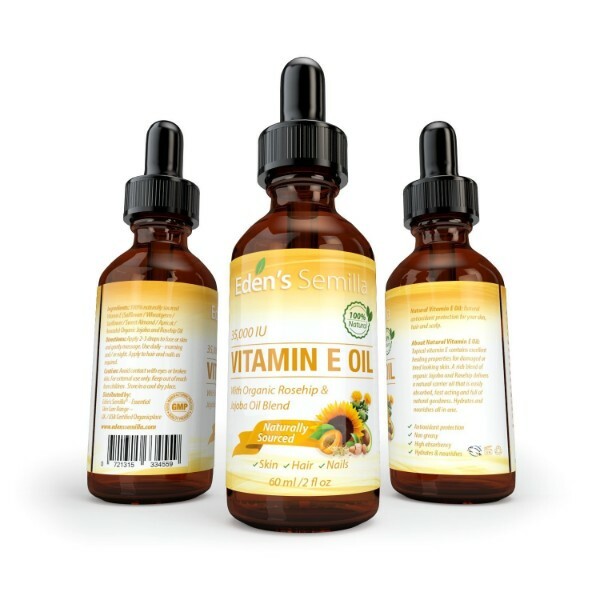 Wrinkles, fine lines, and sagging skin are some signs of aging that vitamin E oil can fade. The oil is safe to use on all skin types as well. 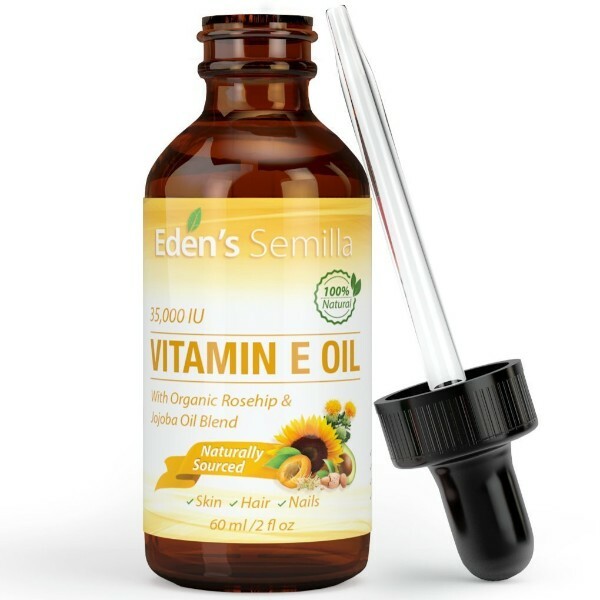 With more than 25% of vitamin E oil in this product, it slows down skin aging while improving skin health. Use this oil as a moisturizer or natural remedy for skin concerns such as irritation and sunburn. The soothing effects of the oil relieve itchiness or pain caused by these skin concerns. Eden’s Semilla infused other essential oils in this product. 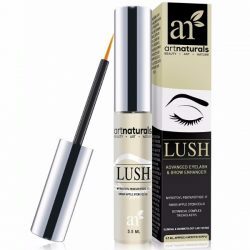 It contains safflower, sunflower, sweet almond, rosehip, and jojoba oil as well. 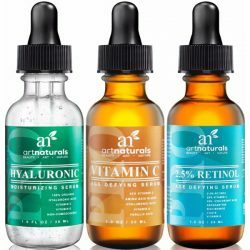 These organic extracts are moisturizing and bring therapeutic effects for skin. These nourishing ingredients provide essential nourishment for healthy skin and hair. This vitamin E oil works for hair as well. Apply it to damp hair as a leave-in conditioner. It makes hair soft, smooth, and silky. With high levels of essential fatty acids, it locks in moisture to hair shaft and prevents hair from getting dry and rough. The oil gives added shine and volume to hair as well. A few drops of vitamin E oil untangle hair knots to keep it smooth. The oil is fast-acting and absorbs through skin instantly. It does not leave an oily residue after application. 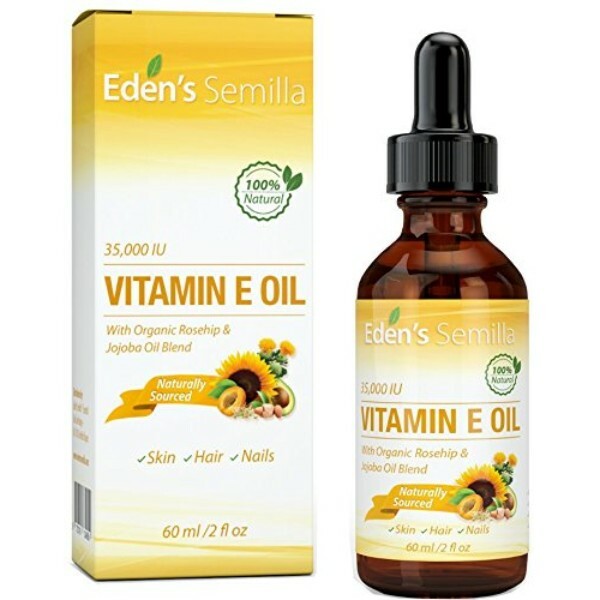 A few drops of Eden’s Semilla vitamin E oil go a long way to make skin and hair soft to the touch. 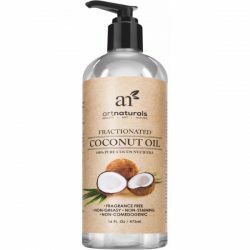 Experience the benefits of this pure organic oil for skin and hair care. Contains essential oils that have therapeutic effects for skin and hair. Fast-absorbing oil that does not leave oily residues. 100% Pure and natural oil for skin and hair. Soothes skin concerns such as irritation and sunburn. Moisturizes skin and hair deeply. Provides nourishment that keep skin and hair healthy. Anti-aging oil that prevents wrinkles and fine lines from forming. Improves hair luster and texture. Absorbs fast into skin and hair. Use one to two drops of Vitamin E oil and apply to affected areas on morning and night. Regular use helps soothe skin concerns and fade blemishes. To moisturize skin, add a few drops of vitamin E oil to preferred skin care products. Put a few drops of Vitamin E oil on palms and rub together to warm the oil. Apply to damp hair after shower. 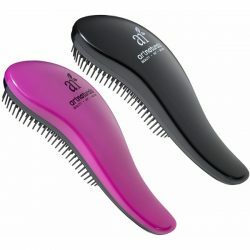 Comb through hair using fingers and massage into scalp. Leave it on and use a hairdryer to dry hair.